The holidays are officially over and most of us are now settling back into our normal routines. Hopefully, we stayed present to all the gifts of the festive season and managed to reflect on our goals for the New Year. If we did not, there is still time to create some inspired intentions so that we can embrace this year with clarity, vision and optimism. And no matter what our intentions may be – whether to meditate daily, eat more mindfully and quit caffeine or find our soulmates, travel the world and change careers– all our goals can be greatly supported if we attune our chakras, our sacred energy centers, first. 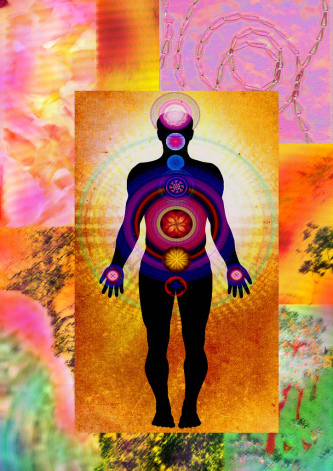 Since the chakras are connected to every part of our lives, getting energy flowing through them will empower all our intentions and keep us healthy and balanced all year long. They will infuse our entire energy field with radiant light and help us attract and manifest our desires with ease and joy. So, before we start working on our desires for the New Year, giving some love to our chakras will help propel us forward in miraculous ways. If you are ready to optimize your chakras for success, below are some simple and powerful practices to help you activate their magical powers. You can try the suggested yoga poses on their own or incorporate them into your existing routine. For the mantras, chant each one at least three times and up to 108 times while focusing on the corresponding chakra. Settling into your root chakra will help anchor all your goals while giving you the momentum to move forward fearlessly. You will be able to stay peaceful and present, feeling secure and supported as you manifest your dreams. Yoga Poses: Tadasana/Mountain, Utanasana/Forward Fold and Vriksasana/Tree. Sacred Mantra: Om Gum Ganapatayei Namaha. Invoking the obstacle clearing deity of new beginnings, Ganesh’s mantra will help clear your path and bring both spiritual and material success. Ritual: Find a strong tree and sit underneath it, resting your back on its trunk and feeling your sit bones connected to the earth. As you breathe out, imagine roots growing from the base of your spine into Mother Earth’s core and feel her welcome and anchor them. As you breathe in, draw pure, positive life force energy from her belly up through the base of your spine and into your entire body, replenishing and nurturing you. Once you feel grounded and supported, thank her and move forward on your path faithfully and fearlessly. Affirmation: I am secure and supported as I walk my highest path. If experiencing greater joy, pleasure, vitality, creativity and abundance are on your wish list, stimulating your center of sweetness will help get you there. Since the sacral chakra most strongly governs our physical desires, this chakra will help with any changes you wish to make around health and wellness, as well as intimate relationships, finances and self-esteem. Yoga Poses: Viparita Karani/Legs-Up-Wall, Malasana/Squat, Supta Baddha Konasana/Reclining Bound Angle. 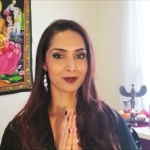 Sacred Mantra: The Lakshmi mantra Om Shreem Maha Lakshmiyei Namaha will open you to the flow of beauty, abundance and joy, while Om Shree Dhanvantreyei Namaha will bring physical wellbeing. Ritual: Immersing yourself in water (the sacral chakra’s element) is one of the easiest and most pleasurable ways to awaken this chakra. If you’re lucky enough to live in a warm climate and by an ocean, lake or river, go swim and play there. At home, draw yourself a sensual bath and pour in a cup or two of sea salt, which draws out physical and energetic toxins. Enhance the experience by adding essential oils like jasmine, patchouli and ylang-ylang, which revitalize a sluggish sacral chakra. Affirmation: I receive and relish all the joys of a vibrant and abundant life. In order to meet any of our goals, we need to be fueled by optimism, willpower and confidence to persevere. Nourishing your solar plexus chakra, which shines like a radiant inner sun when healthy, will give you the drive and courage to commit to your dreams while keeping you centered in your power and enthusiasm. Yoga Poses: In addition to Sun Salutations and Twists, try Navasana/Boat and all three Virabhadrasana /Warrior poses. Sacred Mantra: Om Dum Durgayei Namaha, the mantra of the warrior mother goddess Durga, will invoke the warrior within you, boost self-esteem, unleash your strengths and provide protection. Ritual: Simply being in the sun for 15 minutes daily will revitalize your own inner sun, but a beautiful ritual to try is practicing 12 rounds of sun salutations while facing the sun as it rises. If, however, you’re not a morning person like myself, then practicing them whenever you can face or be in sunshine will still give you the bright benefits of a glowing solar plexus. Affirmation: I am able and empowered to achieve all my dreams. Working on the heart chakra helps us experience and expand love and happiness – two timeless human desires. If you want to focus on cultivating deeper love, compassion and fulfilment within yourself and your relationships next year, and especially if you wish to attract romantic love, it will serve you well to nourish your heart center first. Yoga Poses: Marjaiasana-Bitilasana/Cat-Cow, Setu Bandha Sarvangasana/Bridge, Bhujangasana/Cobra. 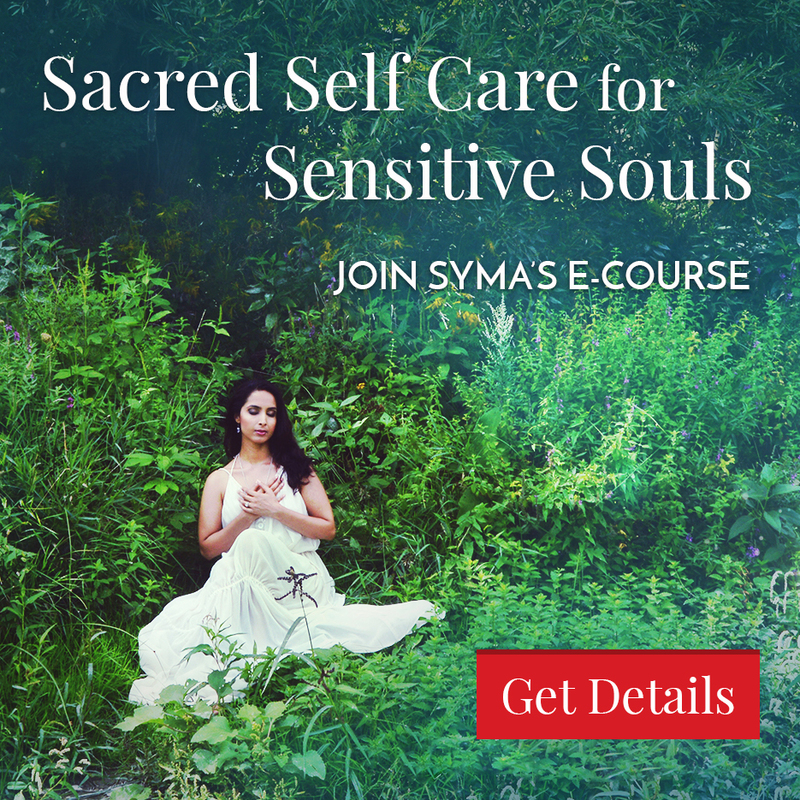 Sacred Mantra: Ahem Prema, which means “I am divine love” will connect you to your true nature as a being of love and help you express and attract blissful love in all forms. Ritual: A very easy and effective way to live more from your heart is to place your hands on your chest and feel your heartbeat. Once you feel connected to this sacred space, contemplate any relationship issue or other concern you have and ask, “What would love do?” Your heart’s guidance is always simple, clear and powerful, and whether it guides you to forgive, release, embrace or trust, it will always keep you on the path of love and considers the highest good of all. Affirmation: My intentions, efforts and outcomes are infused with divine love. It takes great courage and inner work to get in touch with our desires, to dare to dream and to have the audacity to pursue them. When we do, we connect with our most authentic selves and therefore need a clear throat chakra to honour and express our truth graciously. Having a balanced throat chakra will ensure you can say a loving “yes” and a graceful “no” to support you on your path. Yoga Poses: Neck Rolls, Matsyasana/Fish, Halasana/Plow. 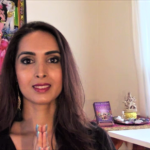 Sacred Mantra: Sat Nam, a mantra from the Kundalini yoga tradition, means “Truth is my identity” and will help you connect with and communicate your deepest truth. Ritual: Take some time to write about the challenges you faced last year as well as any negative beliefs or fears you have about the future, until you feel a sense of release and relief. Then, rip or safely burn the paper as an act of surrendering your negative feelings for healing. Journaling about and releasing your experiences in this way clears blocked energy in the throat chakra and helps you move forward freely, authentically and graciously. Affirmation: I live and speak my truth with grace and love. While our small, ego-centric selves can limit what we think is possible for us, our higher, spiritual selves can expand our horizons in unimaginable yet totally achievable ways. This is why clearing and opening our third eye chakra is essential to aligning our intentions with the will and wisdom of our souls. Yoga Poses: Adho Mukha Svanasana/Downward Facing Dog, Balasana/Baby, Janu-Sirsasana/Head-to-knee. Sacred Mantra: Chant the mantra Om Tare Tuttare Ture Svaha to let Tara, the great “Mother of all Buddhas,” help you set your sights upon the heavens, free you of limiting beliefs and find and follow your true North Star. Ritual: To align your vision with Spirit and open to the highest possibilities this year holds for you, start reading literature that inspires you as you work on your goals. You can reread books that have already transformed your life or finally read one that you have always meant to. A few tried-and-true ones to consider: The Alchemist by Paulo Coelho, Manifest Your Destiny by Wayne Dyer, A Return to Love by Marianne Williamson, The Seven Spiritual Laws of Success by Deepak Chopra, A New Earth by Eckart Tolle and The Prophet by Kahlil Gibran. As you absorb and practice the teachings of your chosen texts, your actions will be uplifted by your new and improved vision. Affirmation: My heart’s desires are one with my Spirit’s highest vision. As we prepare to realize our divinely inspired intentions in the New Year, staying one with Spirit will be the key to living with great reverence and purpose in each moment. As Jesus taught, “Seek ye first the kingdom of God, and all these things shall be added unto you.” By connecting to our crown chakras, we go beyond striving for the achievement of our goals and instead arrive at the attainment of inner bliss. Yoga Poses: Padmasana/Lotus (half is fine! ), Makarasana/Dolphin and Savasana/Corpse. Sacred Mantra: So Hum is said to be the natural sound of the breath and a mantra that connects you to all that is, making you feel one with all of creation as you chant and feel it. Ritual: The practice for this chakra is simple and profound: Meditation. Here’s how you can get started while using the suggested yoga and mantra option: Get comfortable in half or full lotus, rest your hands on your knees, tips of index fingers and thumbs touching. Anchor your sit bones to the ground, lift up your spine one vertebra at a time, expand your chest, draw your shoulders back, tuck the chin in slightly and reach your crown to the heavens. Start noticing the rhythmic flow of your breath, feeling your chest or belly rise and fall with each inhale and exhale. Silently start chanting “So” on the in breath and “Hum” on the out breath, continuing for 10 or more minutes. When done, bring your hands together in prayer pose and slowly open your eyes. Affirmation: I am one with all that is, and all is well. Practicing the above suggestions as you prepare your New Year’s intentions will enable your chakras to support you in thriving in all ways. 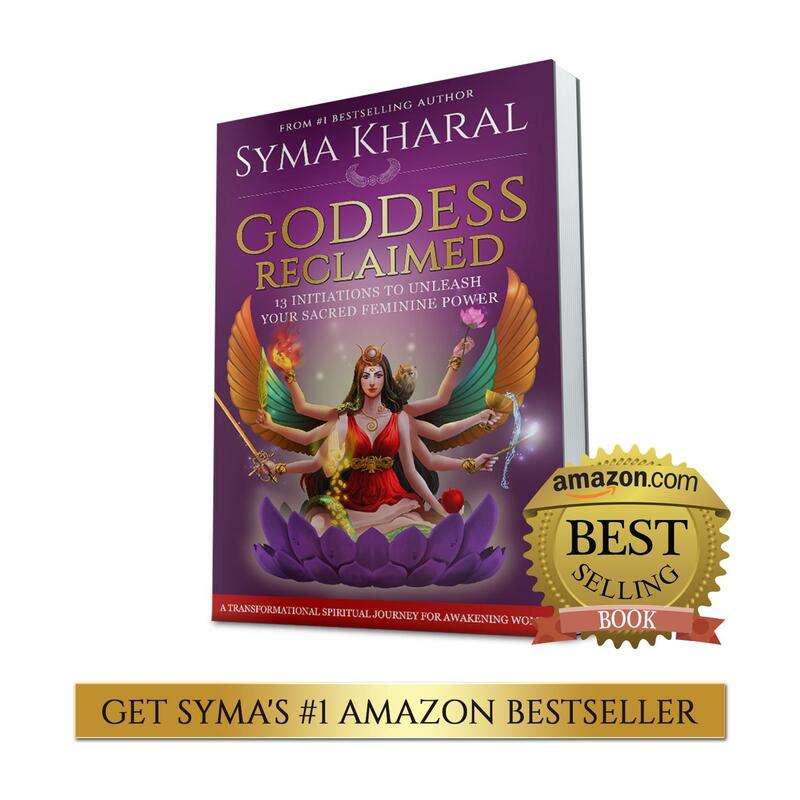 Plus, each healthy chakra will help you stay grounded, joyous, empowered, loving, authentic, inspired and connected. Now these are resolutions worth working on today, so go ahead and get started, and have a blessed and blissful new year! Originally posted on My Yoga Online/now Gaia.